This week, Apple’s Phil Schiller spoke to The Verge ahead of WWDC conference, giving pretty big insights into at least a few of the ways in which Apple plans to revamp the App Store in 2016. Amongst other changes, probably the biggest revelation is the announcement of support for the Subscription model in apps. The App Store is broken, and has been that way for some time. It’s no secret that there are a number of fundamental problems with the way that apps on iOS are discovered, installed and monetized. There are upwards of 1.5M apps on the store, with just a Featured page, Charts and Explore page (does anyone even use that?!) to try and expose the best ones. It’s like looking through a tiny pinhole into a huge box of goodies. You’re just never going to find the vast majority of apps. As a result of this, the average number of new apps that users now install per month is zero (comScore’s U.S. Mobile App Report). So good luck getting onto users’ home screens if you’re shipping a new app in 2016. Ever wondered where your data allowance goes? I just took a look at the recently updated apps on my phone, in the App Store app. 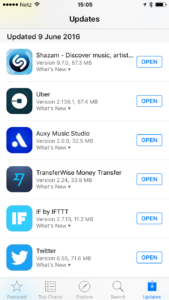 Today there were 9 apps updated, a total of 637MB downloaded. Yesterday, 13 apps updated, 816MB. How much of the world’s bandwidth is being taken up by app updates?! Apps are cumbersome and inefficient. I either have a ton of apps installed (and constantly downloading updates) just in case I need to launch it one day, or I have to rely on downloading the whole app just when I need to use it, before again uninstalling it. Side-note: Google is looking to address this and kill the app install with a very interesting project called Instant Apps. Game on, Apple. Very few apps can rely on one-off payments today. The race to the bottom hit the bottom long ago, and it’s simply not a reliable revenue model when you’re selling to users with the mindset that $2.99 is a “rip off”. 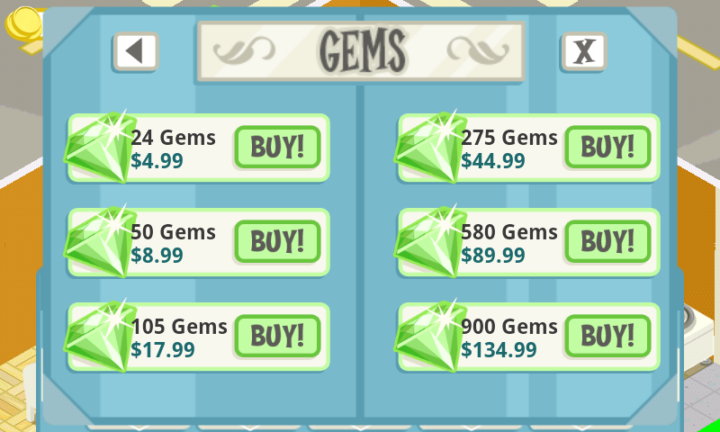 Then came in-app purchases (IAP), through which many app and game publishers have seen huge success. But apps designed around this model lead to inherently “spammy” and “insincere” mechanics for getting users to part with their money. This in turn leads to “free” apps which are effectively useless unless you spend money for every single “premium” feature you wish to use. Advertising is another option for monetization which has also led to success for some publishers (particularly in gaming). But constant changes and innovation is required to maintain a level of effectiveness, as users slowly become immune to ad formats over time. So it’s clear that Apple has a fairly large laundry list of things to fix if it wants to future-proof the App Store, and ensure continued success for developers in the months and years to come. Subscription support on iOS: What are the facts? Apple will support a new “auto-renewing subscription” model for both new and existing apps. Apple will only approve apps that “make sense” in a subscription model. You can price your subscription at any one of 200 pre-defined price points. You can vary pricing per region. You can offer different subscription tiers to users. You can have more than one subscription, for different features or services in one app. You can handle changes to pricing, including grandfathering existing users on old plans. Apple takes a 30% cut (as usual) on revenue from the first 12 months, but after this, developers will get an additional 15% (Apple takes less). These changes blow the options wide open when it comes to monetization of apps. Particularly as more products move towards a service-oriented model, this rolls out full support for subscription billing on the platform. For subscription apps, the focus will shift to providing ongoing value to consumers. Fail to make users consistently happy? They’ll simply unsubscribe. For developers, everything becomes much more measurable. Revenue is no longer one-time, it’s _recurring_. Metrics like MRR, Churn Rate, LTV, ARPA become much more easy to measure. App analytics will need to adapt to a subscription billing model, and developers will need greater awareness of this branch of analytics. Some developers will inevitably try to exploit the “gold rush” when subscriptions become available. However, with the new features empowering consumers to easily subscribe and unsubscribe to services, this won’t last long. What’s NOT likely to change? Right now, Spotify premium costs $9.99 monthly if you subscribe on the web, but $12.99 monthly if you purchase through the App Store. This is a prime example of the business passing the “Apple Tax” down to consumers. With these changes, big consumer services such as Spotify, Netflix, Soundcloud and Amazon (Prime) will still be hesitant to align their subscription pricing correctly on iOS. Although Apple is now taking less of a cut in the long run, it’s still significant compared to handling the transaction outside of Apple’s ecosystem. I think we’ll see these services sit on the fence at first. The tipping point will be reached if the user experience is so frictionless on the platform that it drives a significantly higher rate of signup to balance out the revenue split disadvantage. Support for subscriptions on iOS goes at least some of the way to solving Fundamental problem 3 (Monetization), by giving developers more options when it comes to the payment model for their apps. The core benefits of a subscription model (a focus on ongoing value, measurability and predictability) definitely apply here too, although there’s still a considerable tradeoff to be made in the form of Apple skimming a non-trivial chunk of that ongoing revenue.